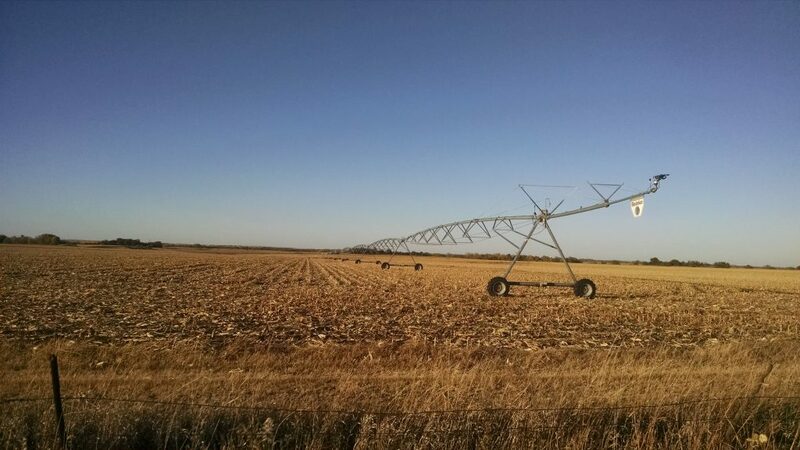 Description: Pivot irrigated cropland east of Fairbury in Jefferson County, Nebraska, offered in two parcels. Offered at public auction December 11, 2015 at 1:00pm CT; Jefferson County Fairgrounds North Room in Fairbury, Nebraska. Parcel 2: The East Half of the Southwest Quarter (E 1/2 SW 1/4) and Southeast Quarter (SE 1/4) of Section Three (3), Township One (1) North, Range Four (4) East of the 6th P.M., Jefferson County, Nebraska. All irrigation equipment is included in this sale!